My husband, Ramananda was 75 years old at the time this occurred. He had been a student of Theosophy since he was 20. Because we knew almost nothing about Mahavatar Babaji at that time, my husband felt a resistance bowing in front of Him. The next morning he said that Babaji had spoken to him in dream during the night, while his face came closer and closer. He spoke: “I see, you have problems bowing in front of me. Just realise, that I am nobody and nothing. When you are bowing in front of me, you are in fact bowing in front of your own Higher Self!“ So there were no more problems bowing to him after that. The sun was shining brightly and people around the fire were shouting “Swaha“ after every mantra, when Ramananda suddenly saw an extraordinary white light around Babaji’s solar plexus. He felt almost blinded, but at the time realised there was another light coming from above. This light seemed to be even brighter then the sun. When he tried to go deeper into this vision, he identified a figure that he knew as Jesus Christ, situated many meters right above Babaji. The figure was shining with an almost blinding light out of his centre like Babaji. Now, of course, there was a question arising inside Ramananda: ‘what did Babaji intend to teach him with these words and visions?’ He came to the conclusion that Babaji’s light prepares us for this birth to happen inside us, by purifying our hearts and minds. To make sure that all this was more than just his own imagination, my husband was longing for Babaji’s confirmation. So during Darshan that evening he looked straight into His eyes, concentrating on the question: ‘was that a REAL vision?’ Babaji looked at him kindly, in a way that seemed to be motherly and fatherly at the same time, and He nodded slowly: giving him the confirmation he was asking for. 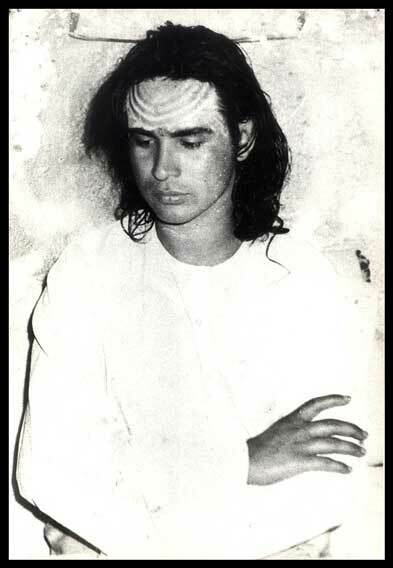 At that moment Ramananda saw glowing fire circles in each of Babaji’s eyes that penetrated him deeper and deeper. He felt his heart glowing while he seemed to be endlessly unloading all that had been keeping him away from a deeper connection and understanding of God. He felt blessed with the understanding that worshipping God outside was not enough, it was time to love God inside himself.